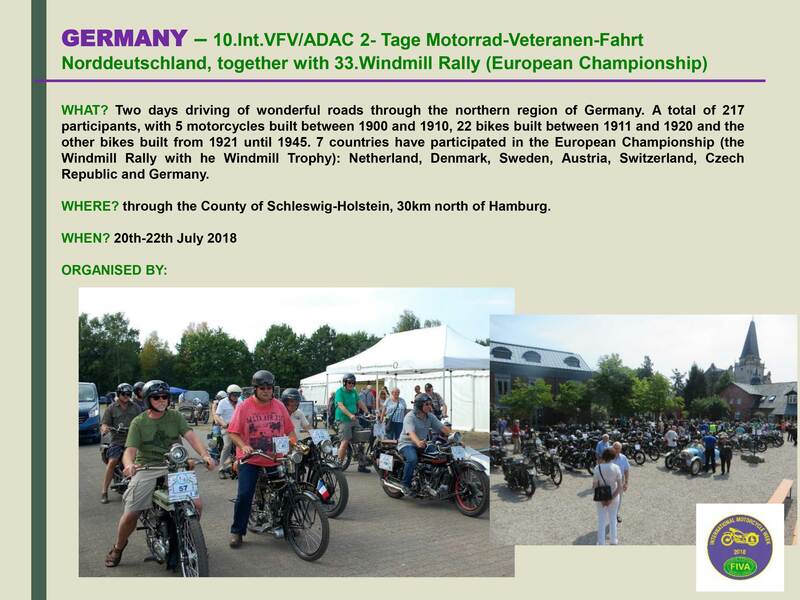 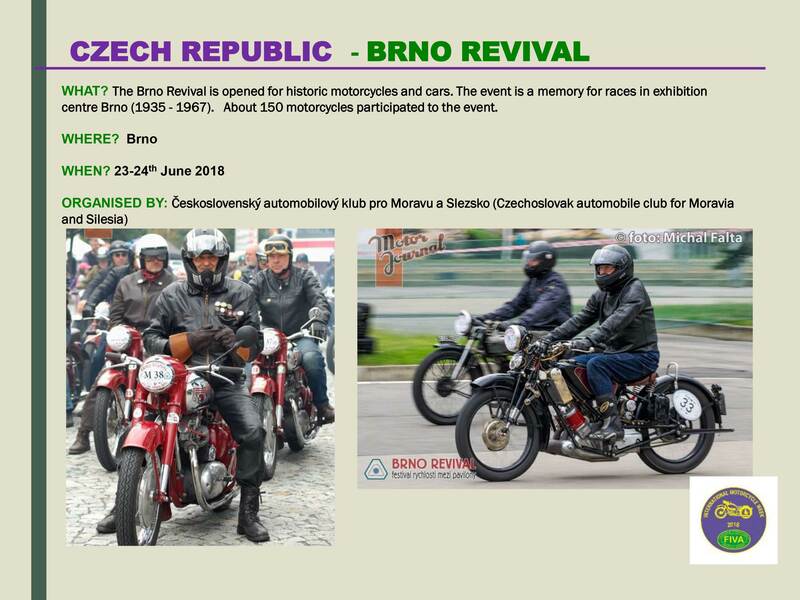 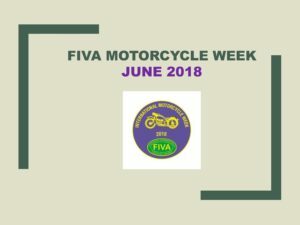 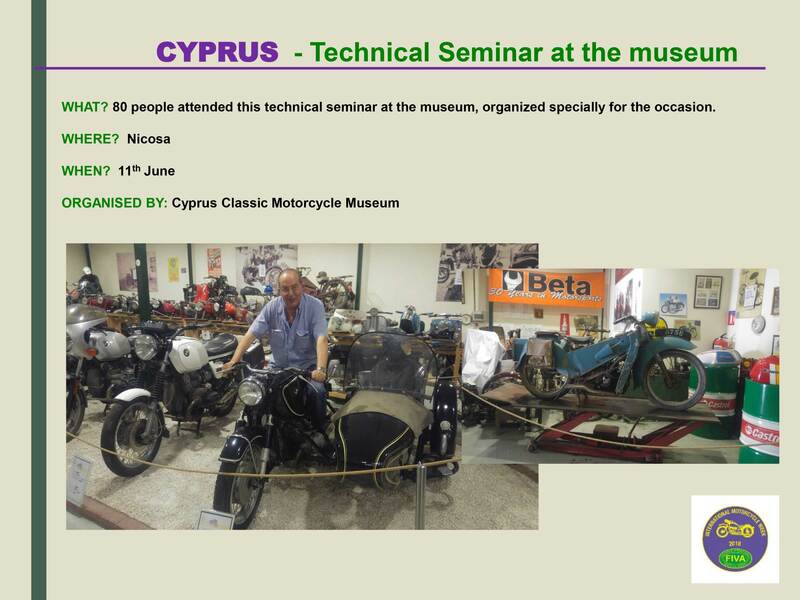 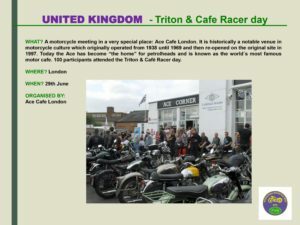 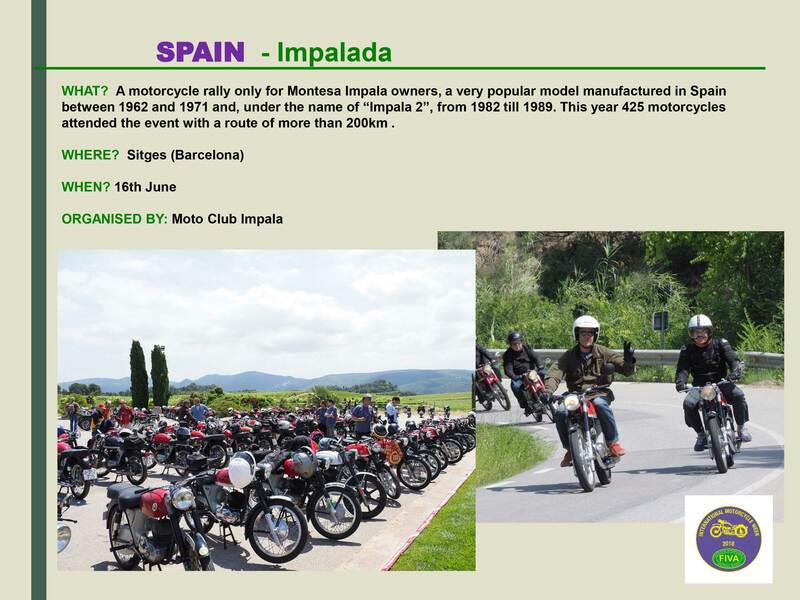 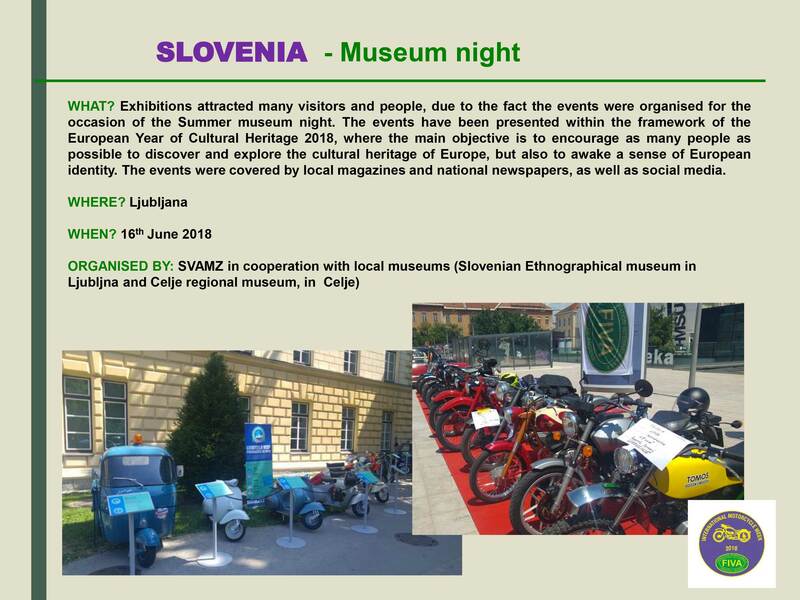 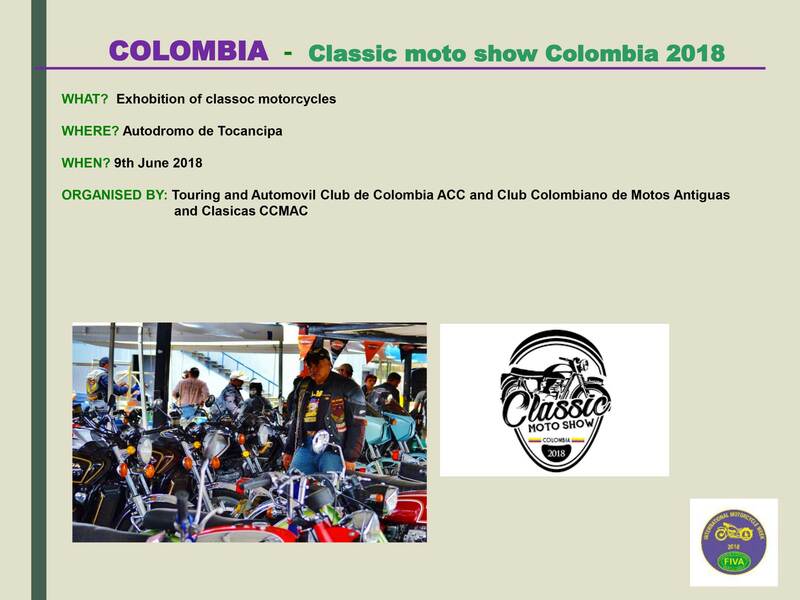 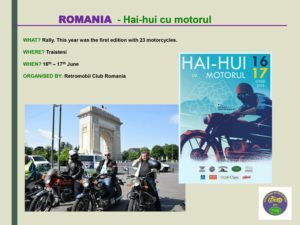 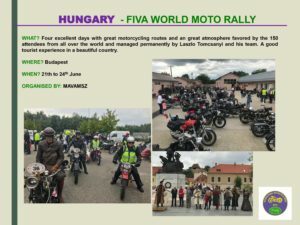 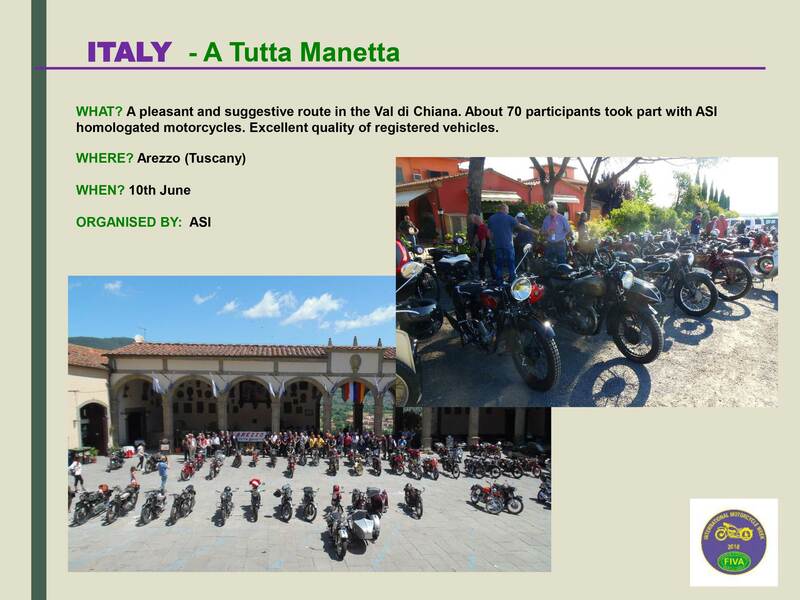 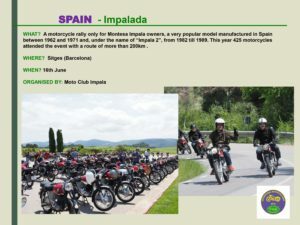 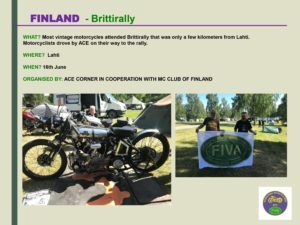 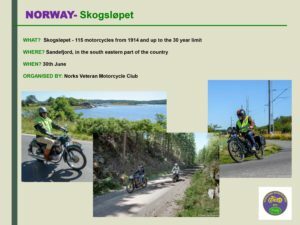 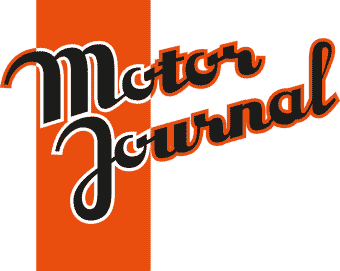 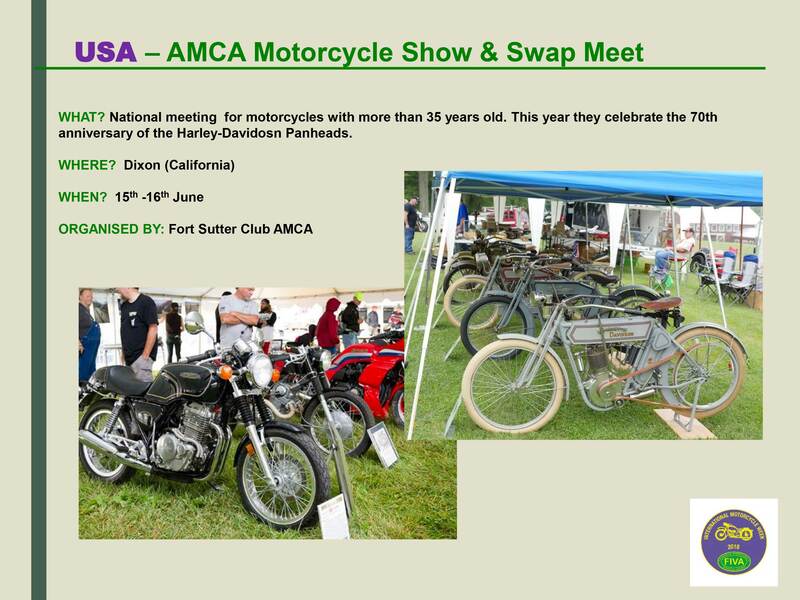 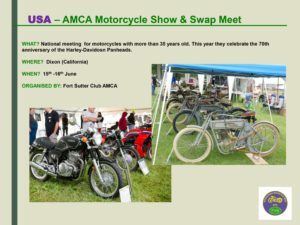 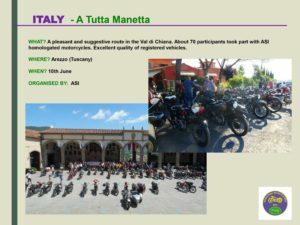 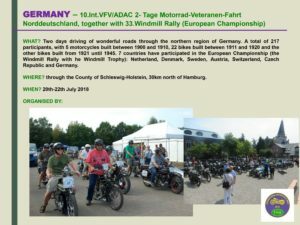 The FIVA Motorcycle Week is a chain of events on two wheels which embraces the whole world. 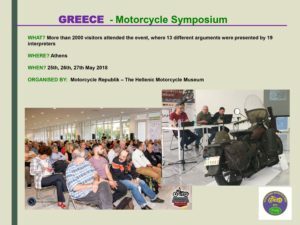 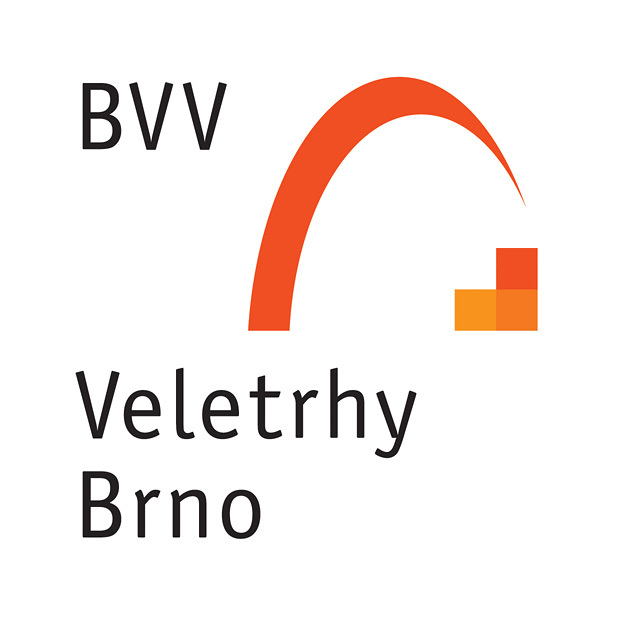 This years’s edition has been a huge success, even more than usual, with 16 countries involved: ANDORRA, COLOMBIA, CYPRUS, CZECH REPUBLIC, DENMARK, FINLAND, GERMANY, GREECE, HUNGARY, ITALY, NORWAY, SLOVENIA, SPAIN, ROMANIA, UNITED KINGDOM and USA. 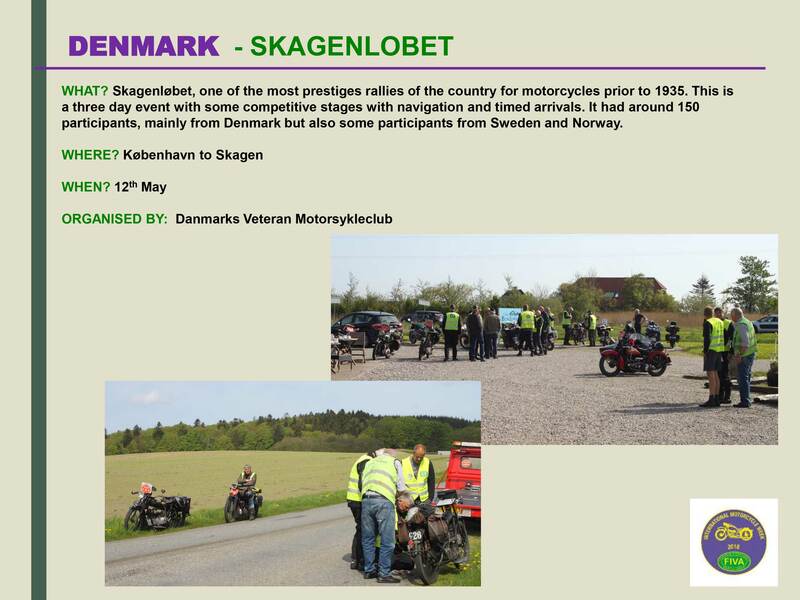 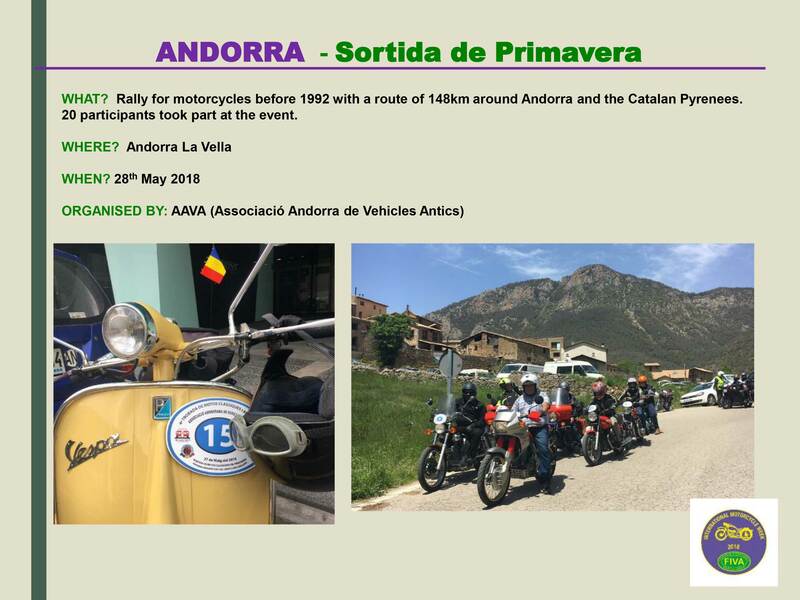 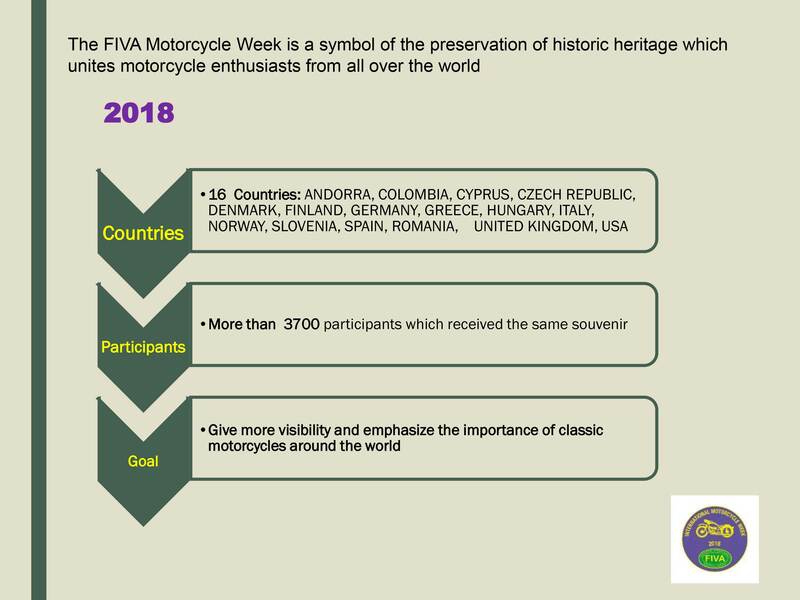 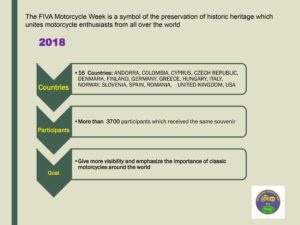 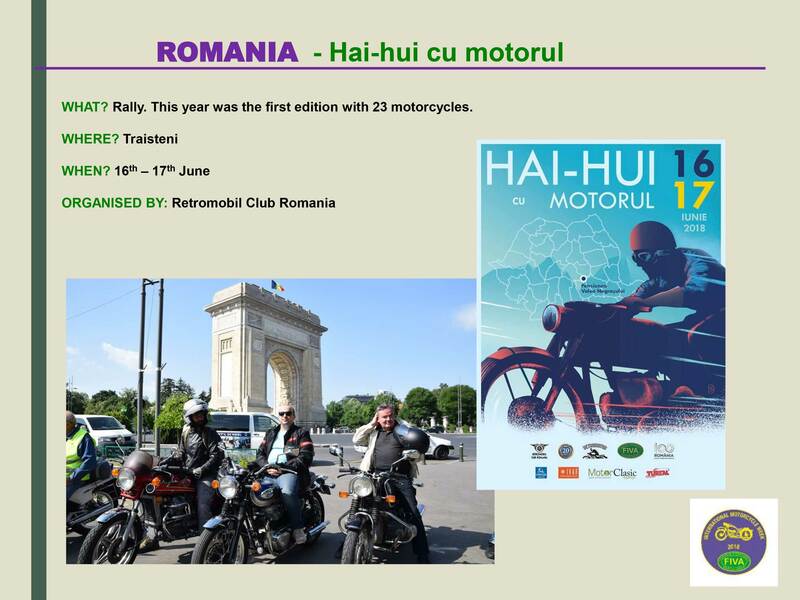 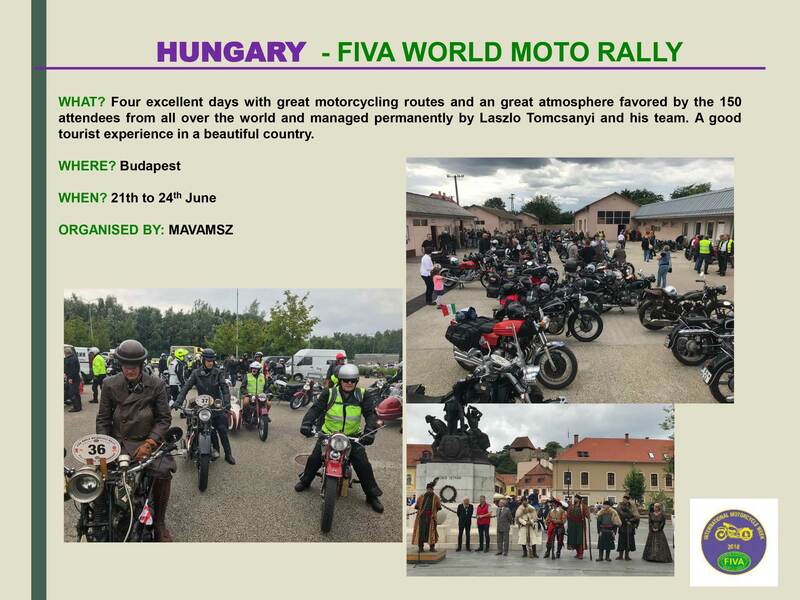 The participants who took part in these chain of events were over 3700, and all of them received the same souvenir: the FIVA Motorcycle Pin!